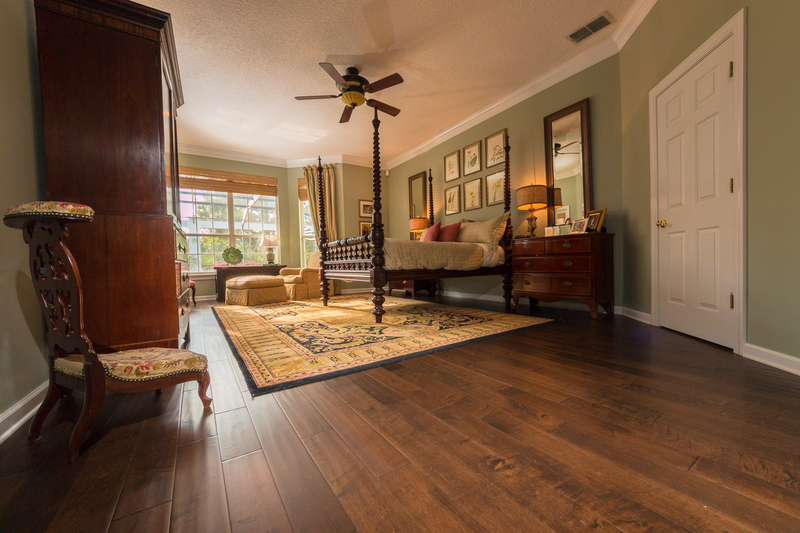 Hardwood floors are one of the few flooring types on the market featuring timeless appeal. No matter what new trends are taking over, solid hardwood floors continue to captivate because they offer a plethora of benefits. Clean and Easy to Maintain – One of the main motives for choosing hardwood flooring is that it’s usually cleaner and much easier to maintain compared to carpets, for example. Solid hardwood flooring meets and exceeds the expectations of people who crave order. In addition to being hypoallergenic, most hardwood floors are stain-resistant and come with simple care guidelines. Better Air Quality – In general, hardwood floors improve the air quality inside the home. People with allergies, in particular, benefit from solid hardwood flooring hypoallergenic qualities. Sophisticated Interior Design – Solid hardwood flooring is a classic choice for homeowners from all walks of life. Whether you prefer modern, shabby chic, or traditional styles, wood flooring blends well with any interior design you’re aiming to achieve. A variety of species and hues are available at Ability Wood Flooring for individuals with discerning taste. A Solid hardwood flooring moreover will make your homes feel warm and inviting. In addition, most interior designers suggest this flooring type because it adds the illusion of more space. Hardwearing – There aren’t many floor types that can match the lifespan of hardwood flooring. These floor coverings can last a lifetime and if they do scratch or wear, a wood floor refinishing treatment provides an economical way to restore its original beauty. Better Acoustics – Want to install a state-of-the-art home theater system in your basement or rec room? Set the stage for great acoustics by fitting in hardwood floors in Orlando. These flooring types help reduce muffled or vibrating sounds – giving you crystal-clear sound quality at home. There are many secondary benefits that solid hardwood floors provide. The initial investment typically comes with a higher price tag. In the long run, though, hardwood flooring usually end up saving homeowners money. Little to No Cleaning Equipment Needed – With hardwood floors, there’s no need to buy vacuum cleaners every few years or a bucketful of cleaning supplies to keep it clean. All that’s needed is a wet microfiber mop to dust and mop every few days or so. Ability Wood Flooring is happy to go over the best care instructions for hardwood flooring in Orlando. Hardwood Flooring Outlives the Latest Trends – Homeowners regularly complete upgrades in an effort to retain the value of the home. Fortunately, hardwood floors are always in style. Improved Value – History tells us that home buyers favor homes with hardwood flooring and are willing to pay more for this feature. 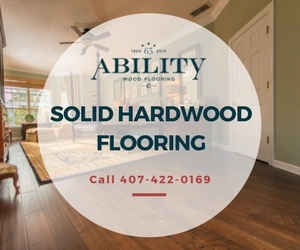 Ability Wood Flooring sells a variety of hardwood floors for homeowners in Orlando, Winter Park & Windermere.